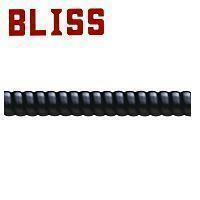 Liquid Tight SUS 304 Stainless Steel Conduit (Square - Locked)(T2017) - Bliss Yih Enterprise Co., Ltd. Stainless Steel core, PVC jacketed. Light weight style, excellent flexibility and waterproof. SS#316 stainless steel available by request.